I believe it was last year that every time I would take out a glass or dish from our dishwasher after running it they would still be dirty with food particles or ugly spots. I’d end up having to run the dishwasher again or wash them by hand – that kinda defeats the purpose of a dishwasher! It was also last year when I had enough and switched dishwasher detergents to Cascade and I’m happy to report that my dishes come out sparkly clean! The newest addition to the Cascade collection is Cascade Platinum and I received a package to try out to see them work for myself. Cascade Platinum Pacs deliver a powerful clean while they also help to keep your dishwasher clean. They have an advanced triple action recipe that is designed to leave your dishes virtually spot-free and prevent the build-up of hard-water film on dishwasher walls. 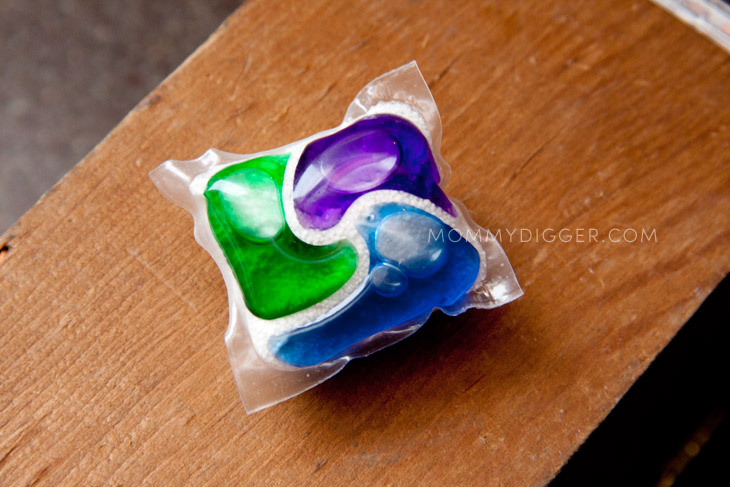 I really need a powerful dishwasher detergent because I don’t pre-wash my dishes and I don’t run my dishwasher daily so food can stick on the dishes for a day (sometimes two!) waiting to be cleaned (whoops!). The Cascade Platinum Pacs got all that stuck on food off and left them sparkling clean – no leftover food particles or icky spots! The Cascade Pacs are also really convenient because they don’t make a mess trying to pour them into the dishwasher. I really love that they help to keep my dishwasher clean too. Even though we have city water we still have problems with hard water and it does a number on our dishwasher. Cascade Platinum has managed to keep those hard water stains at bay keeping my dishwasher cleaner. Visit this website for details on how to connect with your Instagram account. Don’t have one? No worries! They will help you get one up and running! Each week you will be given a task for a particular picture you need to take. Each week, two lucky contestants will receive a brand new Whirlpool dishwasher! I’ve used Cascade Platinum Pacs two times now and have gotten great results! My dishes are sparkling clean with no film. The Pacs also have a nice fresh and clean scent. Once these Pacs run out I will be buying another package, they work great and I would definitely recommend them! For more information about Cascade visit the Cascade Website and “Like” them on Facebook. These look like they work really well! When I finally get a dishwasher in, I will try them out! Thanks for the info. the glass definitely looks sparkling!! thanks for the review! Thanks for the review, as I have been wanting to try these.